3D printing is usually making the news for big plane components or successful rocket tests. Unsurprisingly, there’s a world of small applications in which the technology can, and is, making an impact. 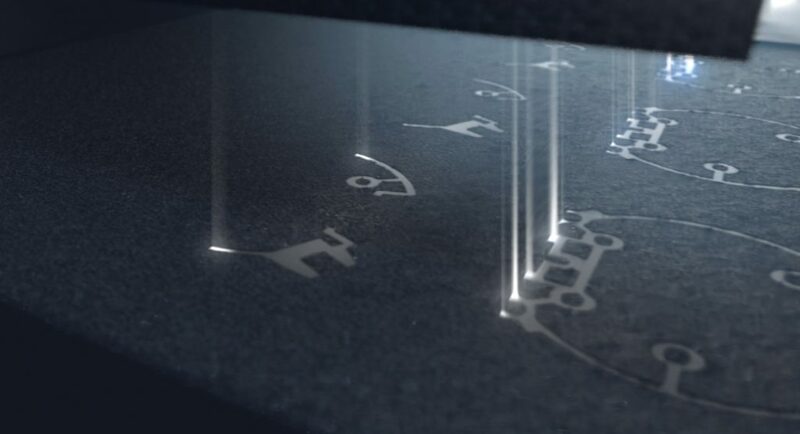 Typical subtractive methodologies are pretty limited at the micro level: 3D printing brings customization and extremely high-precision to labs all over the world. Micro-scale printing is on the table mainly thanks to advancements in material sciences, with polymerization and astonishing “implosion fabrication” techniques. Still, it never hurts to have a hand from biological agents who can do the job for you and when it comes to bio-printing, it’s the way to go to obtain functional, “living” materials. For 15 years, Patrice Baldeck and Michel Bouriau led intense research and development at the Université Grenoble Alpes. 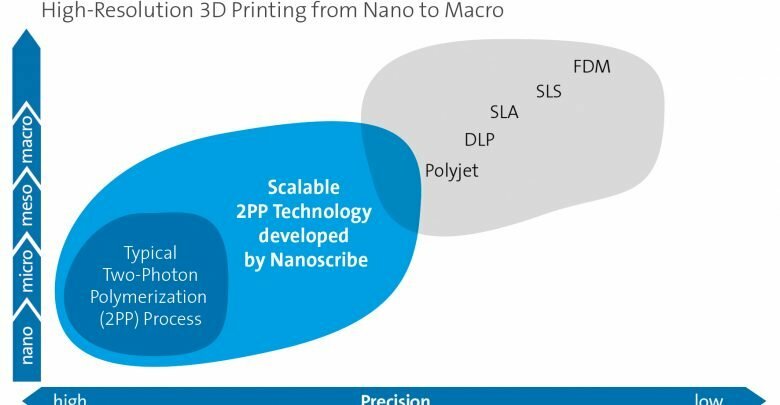 They were working on a two-photon polymerization 3D printing process that would become the basis of Microlight3D, founded in 2016. The process would be the first-ever non-additive two-photon polymerization direct laser writing technology. The benefits of the technology are many. It produces extremely high resolution and smooth surface finish comparable to injection molding. It also offers a great deal of design flexibility and eliminates the need for post-processing. It’s a fast technology that produces robust parts in any shape – 100 times smaller than a strand of hair. The idea behind the shrinking 3D printer is to print an object and then shrink it to the required size – a technique known as implosion fabrication. The most amazing part about this 3D printer is that it can be adapted to work with different materials like metals, quantum dots and even DNA. Additionally, complicated shapes like microscopic linked chains can be printed too. 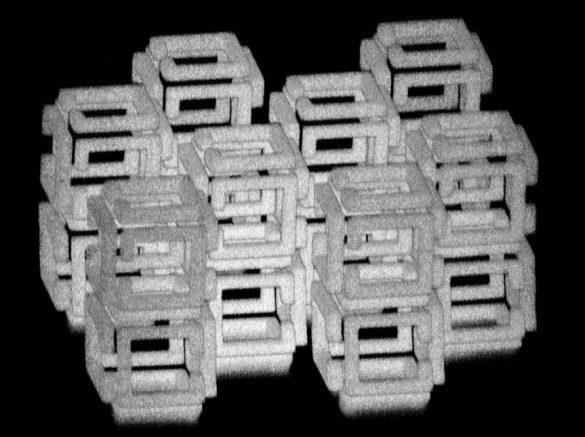 In multiple tests, the team found that they could shrink a structure by about 8000 times. In a paper entitled “Programmable and printable Bacillus subtilis biofilms as engineered living materials,” a team of researchers discusses how they used 3D printing to produce custom nanoscale biomaterials from the natural secretion of amyloid fibers from the bacteria Bacillus subtilis. The bacteria generate biofilms by secreting amyloid fibers via a tightly controlled cluster of genes called the tapA-sipW-tasA operon. The researchers were able to genetically modify the TasA protein and introduce functional chemical groups onto the TasA fibers excreted by the bacteria. This means that the bacterial films could be designed to act as functional living materials. From the entire Authentise team, we wish you a very Merry Christmas!